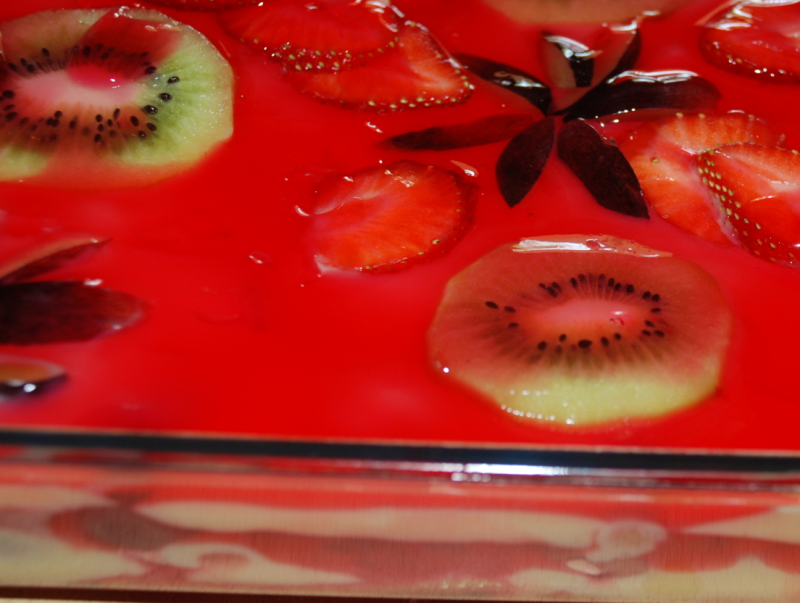 though this pudding is time consuming it's worth the try as we get most of the ingredients in instant packs and you not only will enjoy making it but will have a lot of appreciations for it's taste and look. take 4-5 tsps custard powder and make a smooth paste in few spoons of cold milk and pour into boiling milk adding sugar to make a custard just thick for a pudding. transfer the contents into a bowl and pour boiling water as per pack instructions. cut the sponge cake into slices and arrange on the base of your glass dish and pour few spoons of warm jelly over it. pour in the prepared custard over this mixture mixing banana and orange. garnish your top layer with more fruits like kiwi, black grapes and strawberry. pour all the remaining jelly over the whole pudding to glace it. so is it that the more custard powder i add, the more tasty or thick the dish will be? hi Saritha, you might have added more milk while making the custard.if that is so u can always add extra powder to some milk(seperately) and stir into the custard mixture when still on fire. Hi sneha, i tried this recipe, and it came out really well sometime last month, but i tried the same today, but the custard would not set.. it was watery... no idea where i went wrong. hope u could help me. you may add canned fruits for your convenience and save time.but i prefer using fresh fruits as its more healthy and adds a lot of colour to the garnish.use as many fruits as you want with your imagination.